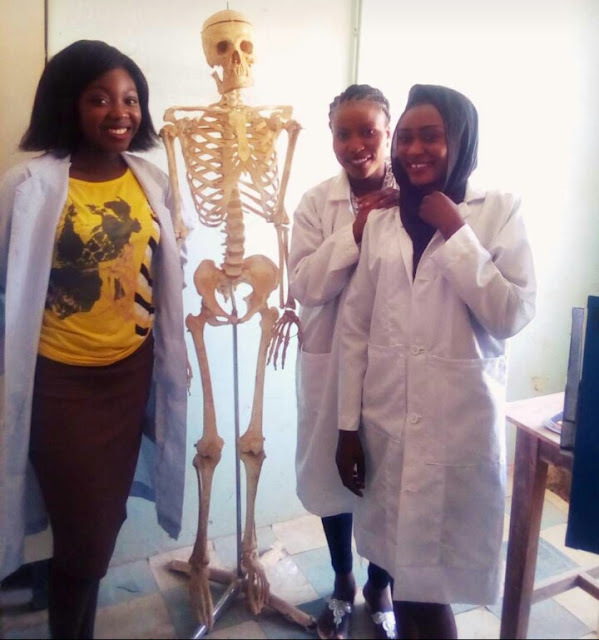 The Plateau State government says the recent signing into law of the Act establishing the Federal School of Medical Laboratory Technology Science, Jos and many others by the Nigerian Federal Government is progressive and 'most' commendable. The Bill for an Act to Establish the Federal College of Medical Laboratory Science, Jos No. HB.15.07.39, C769-790, sponsored by Plateau Federal Reps member representing Barikin Ladi/Riyom Federal Constituency, Hon. Istifanus Gyang was signed into law last week by then Acting President Osibanjo before the return of President Muhammadu Buhari from his work leave. The Plateau State Commissioner for Science and Technology, Hon. Dan Manjang in a statement regarded the sponsor of the bill and all others who contributed to its birth and success as "progressive elements". "This gesture will go a long way in correcting the education imbalance that exists in the state in that field of study," the Statement says. On his part, Hon. Istifanus Gyang who footed the bill lauded the passage of the bill as "yet another milestone in building and consolidating the study and practice of Medical Laboratory Science and Biomedical Science in our nation." "The Act now serves as the necessary legal framework backing and authenticating the institution and the integrity of its Degrees and other Certificates," he said. Hon. Gyang regarded the Act as a testimony of his legislative contribution as a member of the 8th Assembly along with previous legislative efforts towards nation building in the education and health sector. The school operating within the premises of the old Jos University Teaching Hospital, Jos is over a decade old as a professional science laboratory training institution. Although reputed despite operating without an Act of the Parliament, there have been corruption cases involving its present Provost, Dr. Sunday Etukudo. Dr. Etukudo who is said to have exhausted his tenure after being long overdue for retirement is facing charges of financial misappropriation and other criminal offences. The matter has lingered on in a Jos based court for over two years with the prosecuting Economic and Financial Crimes Commission, EFCC appearing in court severally in vain. The provost is also alleged to only favour his kinsmen in appointments into the school. By the signing of the law however, the Plateau State government in the statement by the Science and Technology Commissioner demanded that he abides by the "rules of engagement" as it affects student admission and employment.